National Palace Museum has been dedicated to the integration of the humanities and technological innovation, focusing on the promotion of digital art education from the perspectives of art and technology. This exhibition responds to the "2018 Taichung World Flora Exposition," and features the "NPM New Media Exhibition" based on Taichung's local flowers and horse ranch, as well as the park's core values "Ecology, Nature, and Natural Symbiosis," transforming the important cultural relics of NPM into multimedia art, integrating education, and promoting the creation of a new immersive aesthetic experience. The pavilion is named after Song Dynasty (960-1279) Emperor Huizong's famed verse "Butterflies dance adrift among fragrant trails, chasing after the evening wind" and takes the concept of "Lingering Fragrance on the Horse Hooves after a Flowery Outing" as the main image of the exhibition, rendering the poetic ambience of nature, flowers and dancing butterflies. The exhibition consists of three sections: "Lingering Fragrance on the Horse Hooves after a Flowery Outing", "Painting Animation: One Hundred Horses", "The Emperor's Match" and "Morphoses of Castiglione's Hundred Horses". 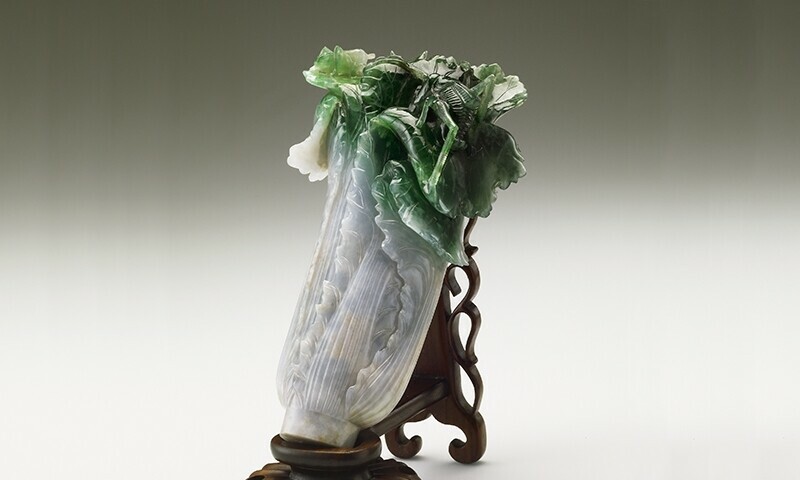 In response to Taiwan's advanced agricultural development and to convey the harmonious symbiosis between man and nature, the museum's most popular artifact "Jadeite Cabbage" and "Jadeite Chinese Cabbage" will also be on display at the exhibition. The theme combines the ancient artifacts with local culture and the contemporary spirit, and embeds art and culture into everyday life.